On February 2, 2011, Martin Gray, manager of the CF Miton Special Situations Fund, spoke with Tim Price and Killian Connolly of PFP Wealth Management. Part 2 of the interview follows. Tim Price: Are there any currencies other than Sterling that you particularly like? Martin Gray: I’ve been steadily moving toward Asian dollar currencies over the last 18 months or so. I hold Asian currency funds and bond funds. That’s as far as I go – I haven’t got any Asian equities or property to speak of. But I think there’s a misalignment there that will have to correct itself in due course. I also think that Sterling’s a bit overvalued at the moment and therefore I’m quite happy to hold some US dollars. I still think that on any setback the dollar will benefit as a safety currency though further down the line that may become a little less safe and a little less attractive. The other currency that I’ve held long term and since 2006/7 is the Yen, which I continue to hold. I don’t think the Yen’s overvalued. 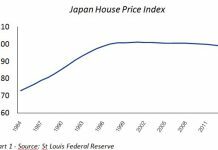 It was at these levels 15 years ago against the dollar, and since then we’ve seen inflation in the US over 40% versus negligible in Japan. Despite their debt situation in Japan I still think it’s a good currency to hold. Tim Price: Do you have a view on the Japanese stock market? Martin Gray: I have. It hasn’t proven particularly right in recent times! I’ve had a reasonable weighting, not a huge weighting, towards Japanese equities, for over a year now. I felt that the DPJ [Democratic Party of Japan] and their focus on domestic policies would be a boon for the domestic economy. That has turned out to be not so good so far – they lost their first prime minister in four months and the next one nearly went about five months later. But they seem to be trying to get domestic policies through; politics is such in Japan that it’s proving to be quite hard work, now that they’re not in control of both Houses. 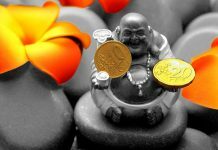 Killian Connolly: Do you view gold as a currency? What is your view on gold and silver? Martin Gray: I certainly have viewed gold as an alternate currency; back in 2001 I increased the weighting to gold in the fund to nearly 8% or 9%. Fairly consistently over the last 10 years gold has featured between 5% and 10% within Special Situations. More recently, since the middle of 2009, I’ve been decreasing that weighting; now it’s probably less than 5% of the fund. I’ve felt that there’s a lot of speculation on gold and the price has run away a little bit, and I’ve been concerned about the correlation of the gold price with other assets. It has moved in the “wrong” direction on a number of occasions compared to where it should be going as an alternate currency, for instance the Dubai crisis when it fell $50 rather than rising $50 in a day. I am a fan of gold but I’m not very happy at these levels so I’d be happy to be underweight where I’ve been over the past 10 years – but we have made a lot of money out of gold. Tim Price: Do you think there’s any such thing as a safe asset these days? Martin Gray: Probably not. There’s a risk to pretty much anything, isn’t there? You might say that gold is the nearest thing to that because not much sovereign paper these days or currencies can be viewed as safe with the amount of debt floating around the world. That’s an interesting debate – probably one for a couple of bar stools and a long evening! Tim Price: Do you think QE [quantitative easing] will end, or would you like it to end, any time soon? Martin Gray: I would like it to end, because it is creating extremely false markets in asset pricing and we’ve seen correlated movements in all assets – it was pretty hard to find an asset that fell last year. We saw back in 2009 and last year that as soon as any announcement was made that quantitative easing was going to be resumed that asset markets have gone through the roof in anticipation of that. The liquidity has just sent everybody into risk assets, down to the casino – however you wish to describe it. I would like to see it end and am probably positioned for it ending, sooner rather than later. But I’m not sure the Americans have got much alternative at the moment. Tim Price: What do you think is the likelihood of a rise in UK interest rates any time soon? Martin Gray: My hope and belief is that there is little chance of that happening; however, there seems to be a lot of media and market views that we should be raising rates sooner rather than later. I think that would be a disaster. I don’t think there’s any necessity for it. Sure, the inflation numbers are not coming through good, but I do side with Mervyn King on most of the points he’s been raising. There are short term problems with food and commodity prices; oil prices are obviously having an effect, ditto VAT. But I don’t see any basic long term underlying inflation. I think it will be under control with patience. I think the UK economy is in for a tough time. Tim Price: What’s your take on how we end up, in a world that’s drowning in debt? Do we end up with “muddle through” austerity; do we end up in a deflationary mess; or do we end up in an inflationary or very inflationary crisis? Martin Gray: Here in the UK I think it’s austerity, low growth. Deflation? Possibly, but disinflation or low inflation is how I’m positioned. The inflation thing is a concern but I think we’d need another two or three bouts of quantitative easing to really concern me about that. I think governments are going to be forced by the populace to tighten things up eventually. I think we’ll have a long, hard grind as we clear up this mess. Killian Connolly: What’s your view on emerging markets, and China and India as the global growth drivers? Do you see any worries on the horizon? Martin Gray: Yes, I have a number of concerns that China is eventually going to be forced to get its house in order. 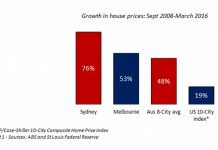 I don’t think we can see these rates of growth and lending continuing forever. There are some signs that the Chinese authorities want to slow things down a little bit but they don’t seem to be having too much effect so far. We’re already seeing a little bit of a setback in emerging markets this year but I think there’s a lot more to come. I think money’s just wholesale flooded in to those economies with quantitative easing and created – bubbles – probably the wrong word, but certainly too much fund flow in the wrong direction where a lot of that money isn’t really needed and it needs to flow back again. From my positioning I’ve got no emerging market exposure at all – and this is from a fund that in 2007 and early 2008 still had nearly 20% in Asia and emerging markets, of which nearly half was in China, so I’ve moved to a very defensive position from there. I’m quite happy to be out of those markets at the moment. I think there’ll be volatility to come, particularly as they do have an inflation issue and that may lead to other problems – trade barriers and those kind of horrible things. Tim Price: On which note, I think we all head to the bar. Martin Gray, thank you very much indeed.